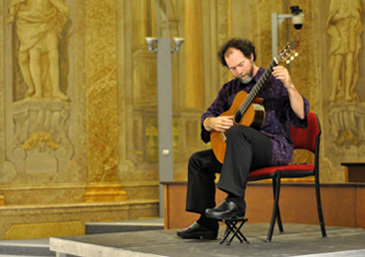 In August I spent a week in Brno, Czech Republic for the fantastic Brno Guitar Festival. The festvial presenters, Vladislav Blaha and his girlfriend Katarina, made it a superb week. 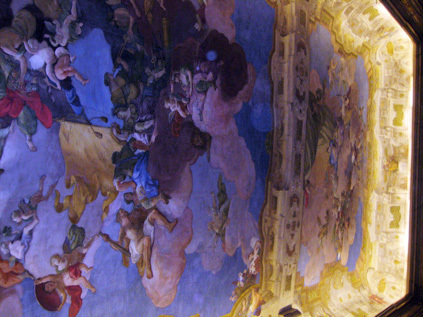 My concert took place in the old city hall, and the walls and ceiling were covered with incredible baroque paintings. A couple stills from the concert. Prior to concert, Czech news did a live broadcast to 3 million people, shooting me playing from the stage. 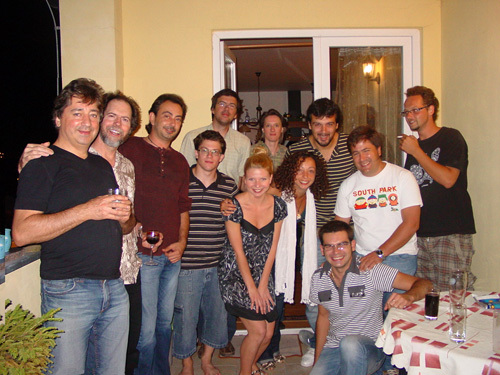 A crowd of some of the festival participants at an opening party. GRAMMY - Sharon Isbin records "Andecy" for her new CD "Journey to the New World" on Sony Classical, winning a GRAMMY in the "Best Instrumental Soloist Performance" category. 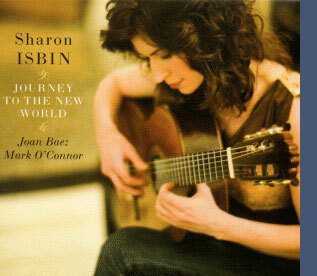 Sharon Isbin's new CD "Journey to the New World" features guest artists Joan Baez and Mark O'Conner. 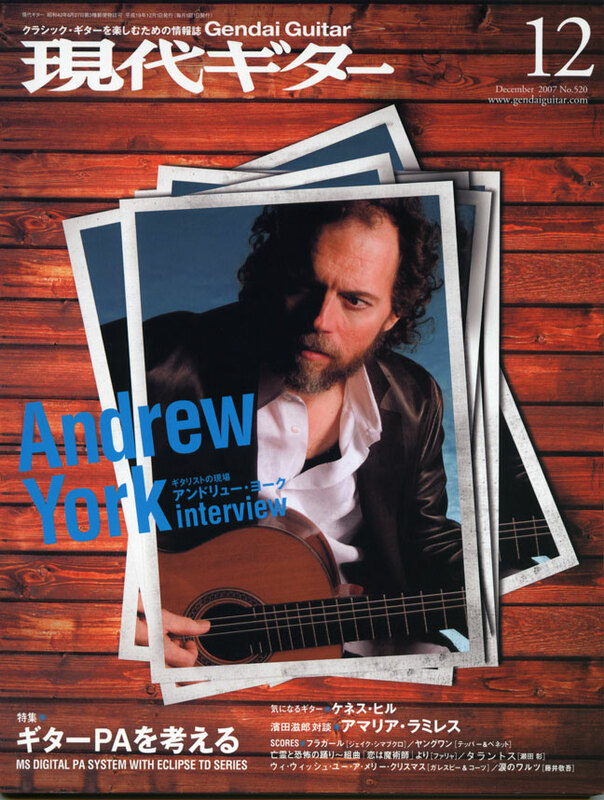 For one of her solo tracks, Sharon recorded "Andecy", a piece I wrote in France in the 1980's in the town of Andecy, and recorded myself for Windham Hill on their guitar sampler LP. 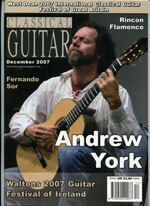 "Andecy" came about mainly as an improvisation in a slow 3/2 tempo. Sharon's rendition is sensitive and beautiful, and she fully captures the mystery and magic I was trying to convey with "Andecy". 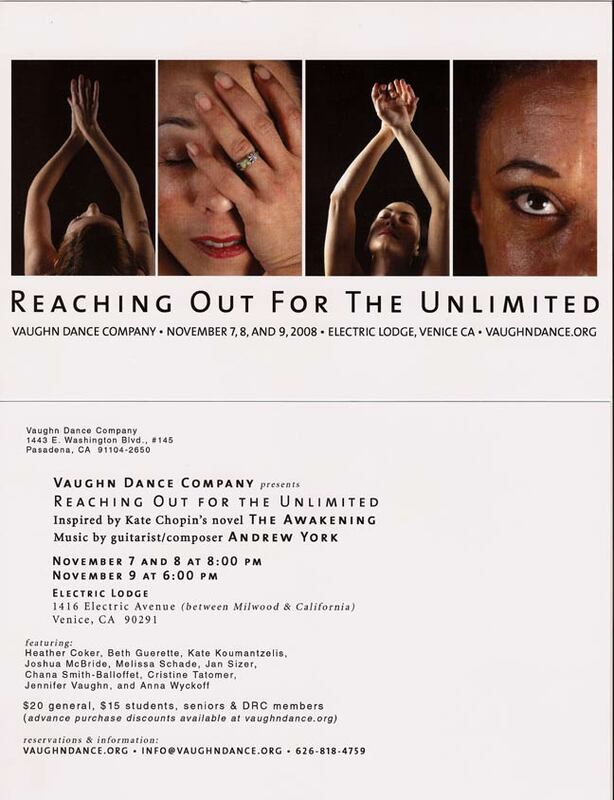 In November, the Vaughn Dance company presented an entire show choreographed to my solo guitar pieces by choreographer/dancer Jennifer Vaughn. Performances were November 7, 8, and 9 at the Electric Lodge in Venice, CA. I was there to play one piece live to accompany Jennifer's solo dance. A very moving (no pun intended) experience, and a thrill to see my music set to dance with such passion. Click the flyer below for detailed info. This documentary film won "Best Documentary" in the Rome Georgia International Film Festival. 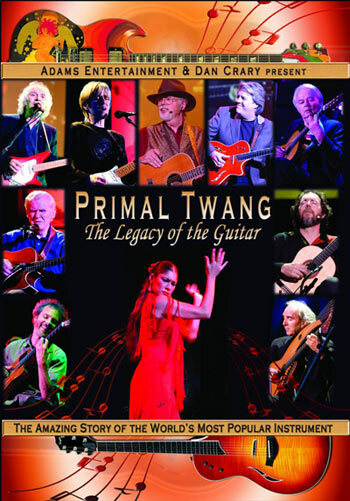 Written and hosted by Dan Crary, and produced by filmmakers Anthony and Christina Adams, Primal Twang features Eric Johson, Albert Lee, Mason Williams, Doc Watson, myself, and many other fine players. 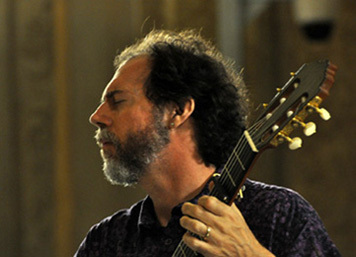 It's about the history of the guitar - watch for it on PBS. 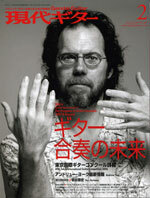 Recent magazines that ran cover stories on me. 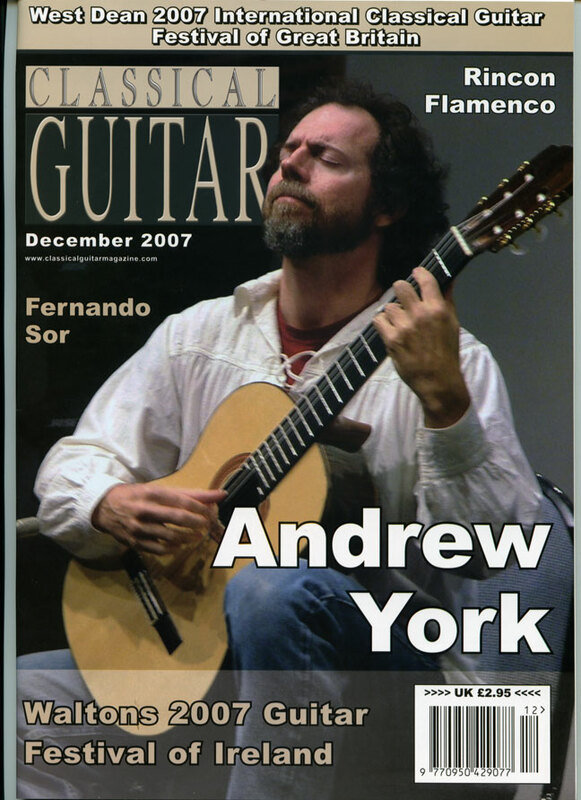 They are Classical Guitar (U.K.), Fingerstyle Guitar (U.S.A) and twice on Gendai Guitar (Japan). 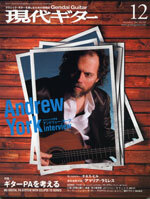 Click on covers for larger view. 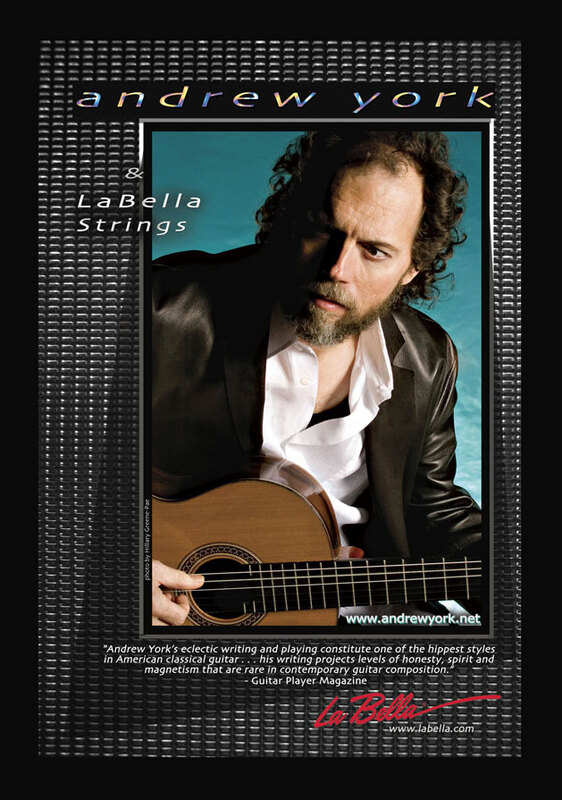 I'm very happy to announce my new relationship with La Bella, maker of fine classical guitar strings. 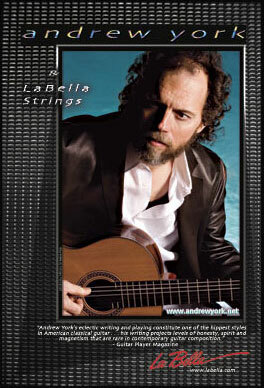 A few months ago, Bob Archigian of La Bella contacted me to see if I'd like to try their new strings. I said yes, a box came in the mail, and I was really impressed with the power and tonal range of the basses. So, we began to talk about a possible endorsement relationship. 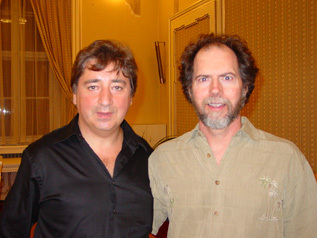 The following week, Richard Cocco, president of La Bella, flew to L.A. to meet with me over lunch. We signed a deal over the meal, and now I'm pleased to endorse their excellent strings. 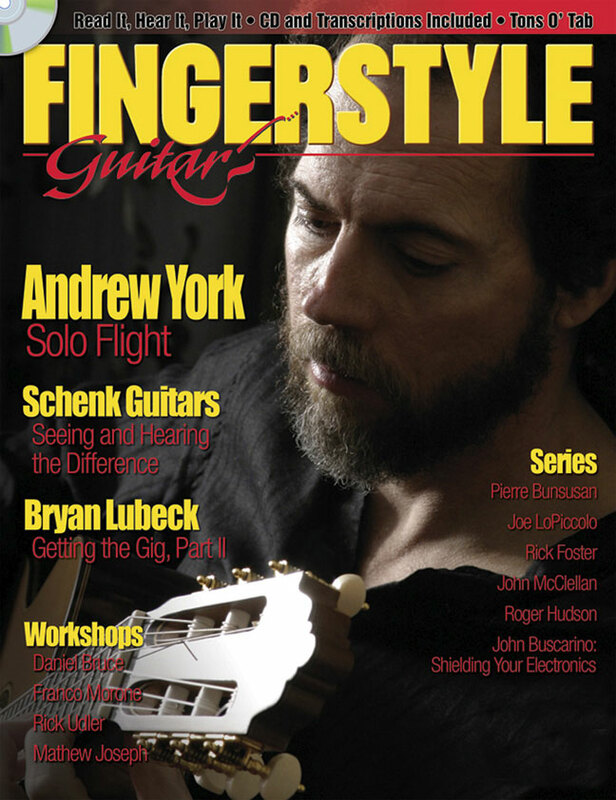 We are beginning to advertise in the classical guitar magazines - to the right is the recent ad I designed for Classical Guitar in England. 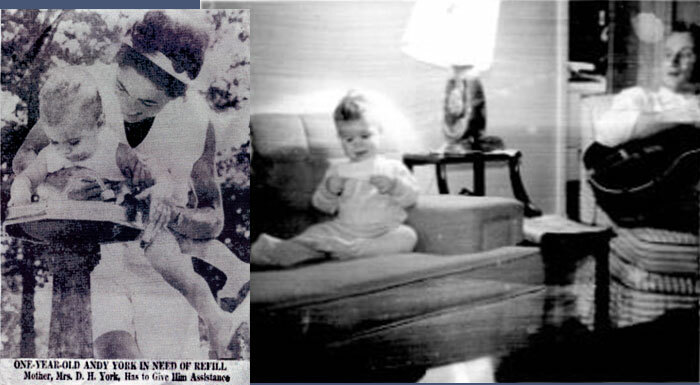 My first press coverage - my mother holding me up to a water fountain to drink in Atlanta. Somehow that got into the newspaper. 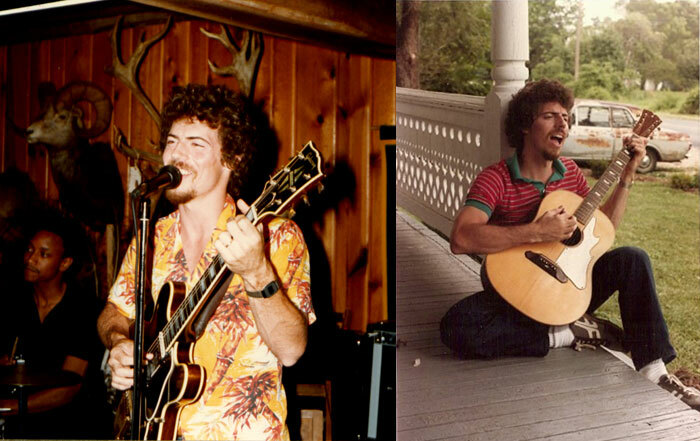 On the right I'm listening to my father play and sing, while I read the chords to make sure he doesn't forget any. Playing a toy trumpet I don't even remember having. Dig the old record player on the left. That thing had tubes in it that had to warm up for a few minutes before it played. Then it sounded great. Age maybe 14 and 15. 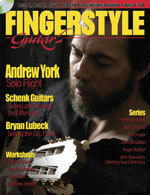 I had discovered rock 'n roll, and had a 1960 Fender stratocaster. I wish I still had it. On the right, me in my backyard, which was essentially a forest. I could walk for half an hour without crossing a road. It looks like I'm wearing antlers. Quite possibly I am. That's Stan McMullen playing drums, we played in many bands together. On the right, belting out a song on someone's porch in Virginia. I'm sure it was Cat Stevens.